The Intruder 1 is a third-party flight stick released by QuickShot. 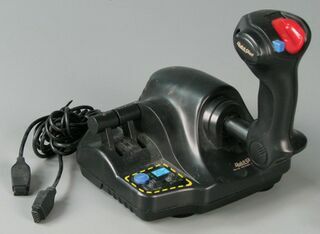 It is one of QuickShot's "multi-controller" peripherals, and so is compatible not only with a range of home computers of the era (save for the IBM PC, which requires an Intruder 5), but for the Sega Master System as well. A three button Sega Mega Drive version exists as the Intruder 3.